Going to watch a volleyball game shouldn’t mean having to make a major political statement. It certainly shouldn’t mean arrest and indefinite detention in solitary confinement. But that is exactly what happened to dual British-Iranian Ghoncheh Ghavami, a 25-year-old woman who went to Tehran’s Azadi Stadium in June to watch a match during the International Federation of Volleyball World League games. She and other women were defying a 2012 ban on Iranian women watching volleyball games, supposedly to protect them from the lewd behavior of male fans. 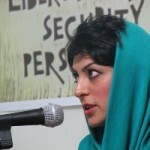 Police used excessive force to disperse the women and several, including Ms Ghavami, were arrested. 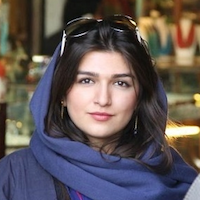 Ms Ghavami spent 41 days in solitary confinement without access to her family or lawyer. She has reportedly been told that she is going to be charged with “propaganda against the state” which would involve a trial in a Revolutionary Court; on September 1 the prosecutor recommended that her detention be extended for another two months. The Iranian government has imposed a ban on women attending soccer matches for a long time. Jafar Panahi, the noted Iranian film director, made a film called Offside in 2006 which follows young female soccer enthusiasts who dress up as boys in a daring attempt to get access to the stadium to watch their favorite sport. One might rightly ask why the Iranian authorities don’t seem to have anything better to do than imprison people for trying to watch sporting events. But the detention of Ghavami is just one more incident in an ongoing culture war waged by Iran’s hardliners in order to assert their power and influence, and also undermine President Rouhani, who has publicly called for more freedom in Iran. There are plenty of other recent examples of hardliners going to extreme lengths to make their point that no behavior is beyond their draconian control. Take the harsh sentences handed down to the young people who made a home video of the Pharrell Williams song “Happy.” Five of those who appear in the video have been sentenced to six months’ imprisonment each and a sixth to one year. All six have also been sentenced to 91 lashes. The sentences are suspended for three years. Meanwhile Iranian authorities have closed down a number of publications and eminent journalist Shahla Sherkat was required to appear before Iran’s Press Court. She had recently launched a women’s magazine called Zanan-e Emruz (Today’s Women)—presumably in light of President Rouhani’s expressed interest in permitting greater freedom—only to see her publication accused of promoting un-Islamic feminist ideas by hard-liners. So to return to the question posed before—and to pursue the metaphor—Iran’s hardliners are casting as wide a net as possible to catch even the tiniest fish so they can fry them. The whole point being to remind Iranian citizens that there is no aspect of their personal lives that is beyond the grasp of the authorities, that nothing can escape their control. Iranian citizens have nowhere to run, nowhere to hide, and they can’t even watch a volleyball game. 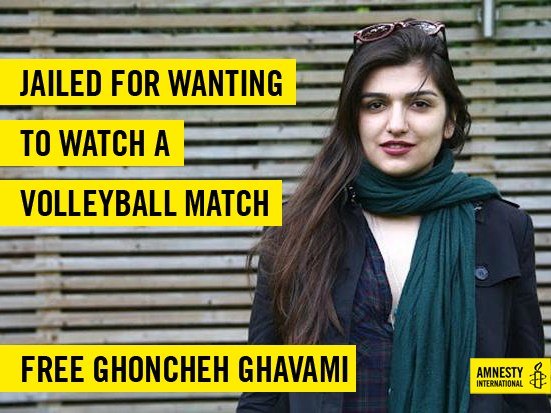 Ghoncheh Ghavami is a prisoner of conscience and she needs your help. Take action today and send a message to Iranian leaders demanding her immediate and unconditional release. This entry was posted in Middle East and North Africa, Women's Rights and tagged gender-based discrimination, individuals at risk, Iran Human Rights, prisoners of conscience, women's rights by Elise Auerbach. Bookmark the permalink. The Best Way to Combat Violence Against Women in Iran: Stop Violating Them! Elise Auerbach is the Iran and Jordan country specialist for Amnesty International USA. No se podrá cambiar la forma de pensamientos o Tradicional y menos basados según ellos en su Religión…. Iran must stop it's conservative approach. The freedom of expression is the right of every individual. Impriosoning a person for just watching a volleyball match is a very condemnable act. It's in reality a nice and useful piece of info. I am glad that you simply shared this helpful information with us. Please stay us informed like this. Thank you for sharing. This is so sad! Freedom of expression is the birth right of every single citizens of any country. This is an excellent info. Freedom of expression is the birth right of every single citizens of over the world! This is unacceptable from any point of view. Every people in this world have right to chose how he/she will spent his/her time. Wow, I can't imagine that someone can be treated like that because they love sport. I love to go sport fishing, if I couldn't do that I would be devastated. That is terrible. How can it still be like that in the 21st century? Why don't they just let them enjoy what they want to enjoy. We're in the 21st century people. Grow up. I What is this, I still can't believe it. The news was shocking to me at first. I get to know a lot for the full understanding.